Slightly overwhelmed with vegetables these days! Indeed, between the garden and the CSA quarter-share, I feel neck deep in produce. Early this week, I decide to winnow down our bounty (and create a bunch of reheat-and-eat work meals) by roasting a bunch and then mixing the roasted vegetables with freezer pesto (from last year’s crop and still tasty as all get out) and cooked whole grain pasta. To roast the vegetables, I simply filled a quarter sheet pan with everything I wanted to use up -- chopped zucchini, crookneck squash, and grape tomatoes -- added olive oil, salt and pepper, red pepper flakes, and roasted it at 400F until done. 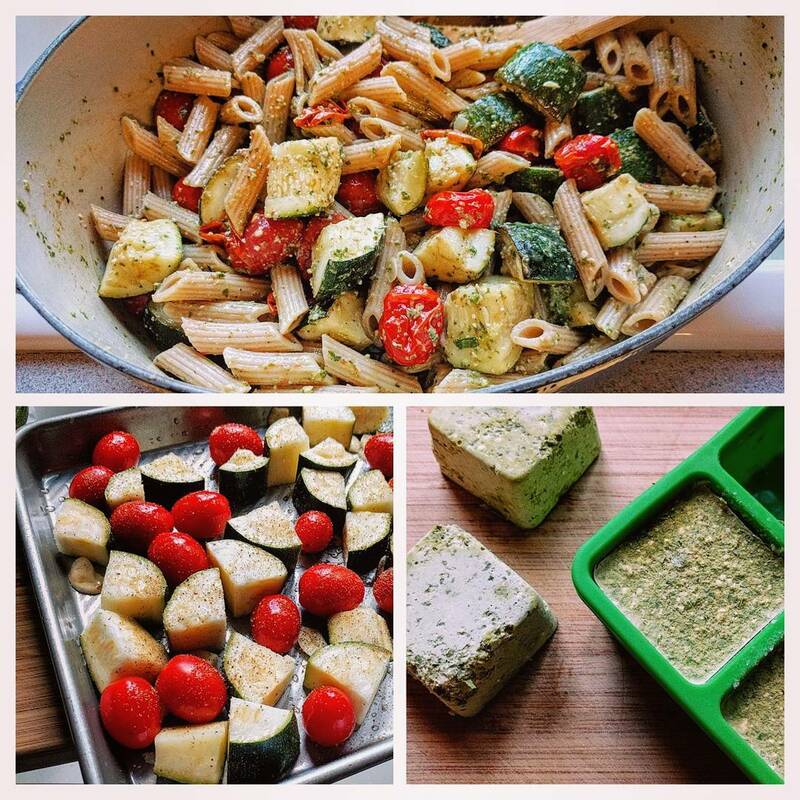 Then I combined the roasted veggies with three servings of cooked whole grain pasta, three cubes of freezer pesto, a squeeze of lemon, and some freshly grated parmesan. A healthy, filling (but not heavy) meal that reheated well. 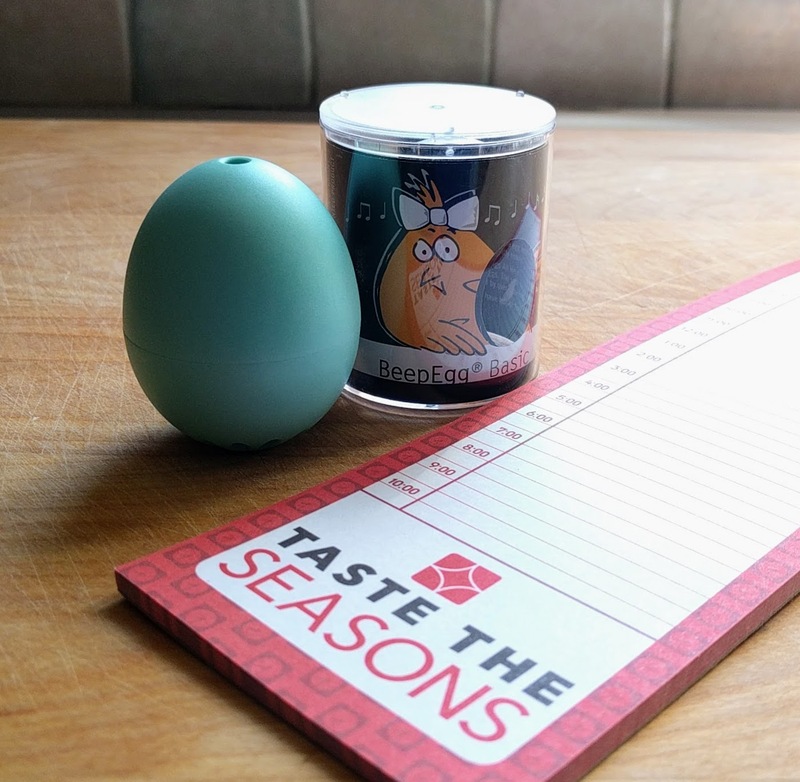 The spring Taste of Home Taste The Seasons subscription box arrived way long time ago now and I was so decidedly underwhelmed by it that I just packed it away until such a time came that I felt I could actually talk about it with some kind of enthusiasm. Which has not really happened, but the summer box arrived last week and, wow, I am a terrible blogger. The spring Taste The Seasons box is just ... eh. Honestly, it feels like a collection of unrelated odds and ends -- as if someone was cleaning out the TOH junk drawer, dumped it in a box, and mailed it to me. I can see the TOH folks tried to tie the items together in the text of the insert -- "this honey is just what you need for the Asian Glazed Chicken Thighs" and "try it in place of Montreal Seasoning on the BBQ Chicken bites" -- but it's not enough. (Although, both recipes are easy and delish). 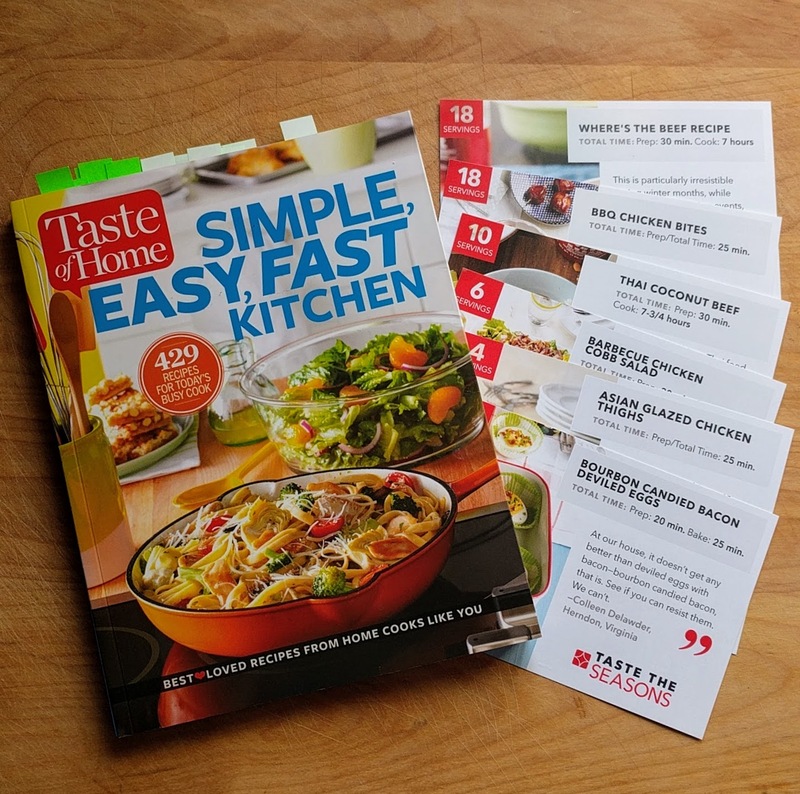 I'd probably be less annoyed if I hadn't completed, over the past year, multiple TOH surveys about the Taste the Seasons subscription box service. I feel I've been very clear about what I liked or didn't like and what I'd like to see more or less of. And then this arrives and I feel very nopenopeNOPE about the whole thing. I can only presume my feels are very different from those of everyone else who answered the surveys. So. Some of the items are quite nice. I've already studded TOH's Simple, Easy, Fast Kitchen cookbook with sticky notes. 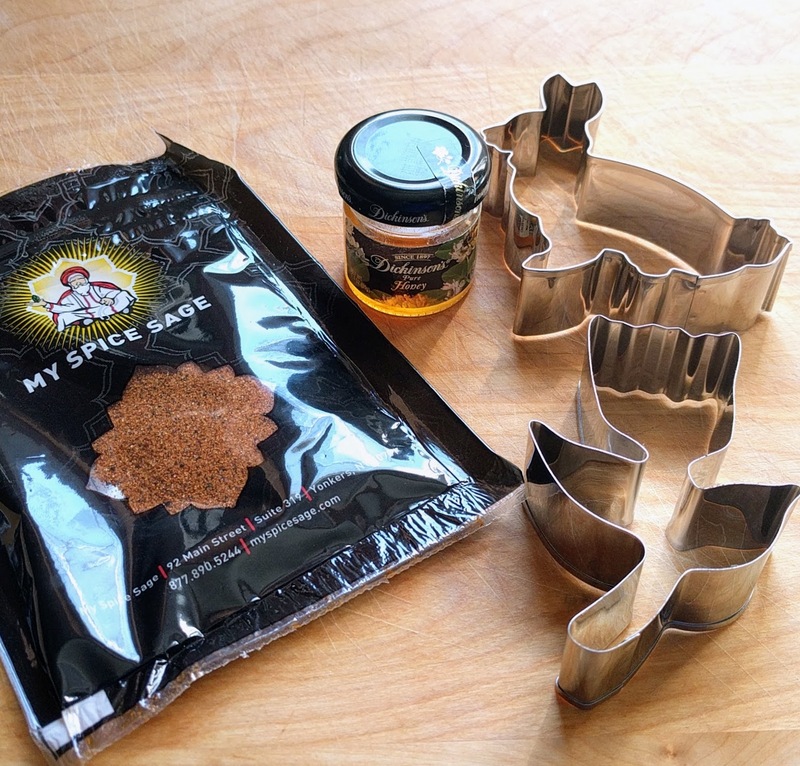 Spice Sage seasoning blends are always a treat. And I'm not going to sneer at a wee jar of Dickinson's delicious golden honey. But. More. Muffin huggin' metal cookie cutters. Just no, Taste of Home. You can't make me bake rolled cookies. 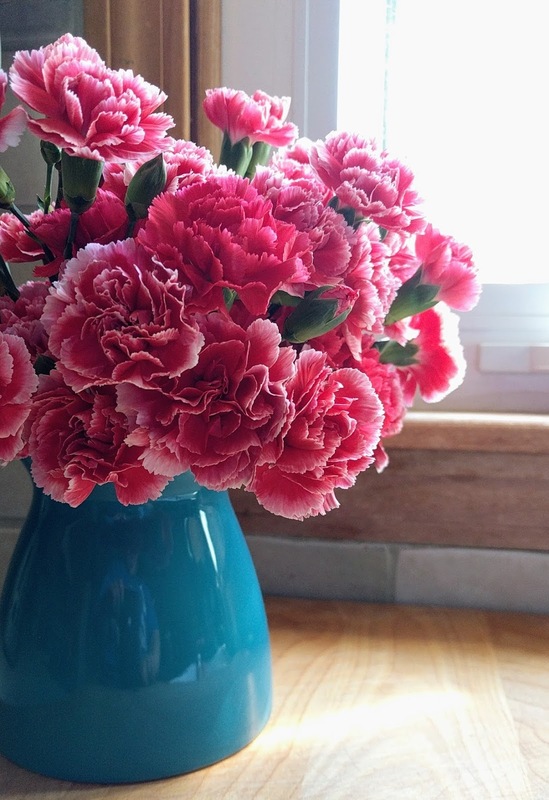 Even if they would be shaped like a adorable bunnies and spring tulips. As for the Brainstream beep-egg classic floating egg timer -- a plastic musical egg that sings when your eggs are done boiling -- it's kind-of a cute idea. It's very existence feels like a gentle German joke and I like that it sings different tunes for different boil levels but then I own a singing Japanese water boiler and rice cooker so, of course, I would find a singing egg timer cute. However, I am completely turned off by the thought of boiling a plastic-encapsulated battery. Meh to the flimsy Taste the Season daily list magnetic pad. I've been using it as a regular shopping list/note pad and ignored all the hours printed on it because I already have an app, wall calendar, and daily planner book for organizing my life. Also meh to the Tovolo silicone anchor breakfast shaper. 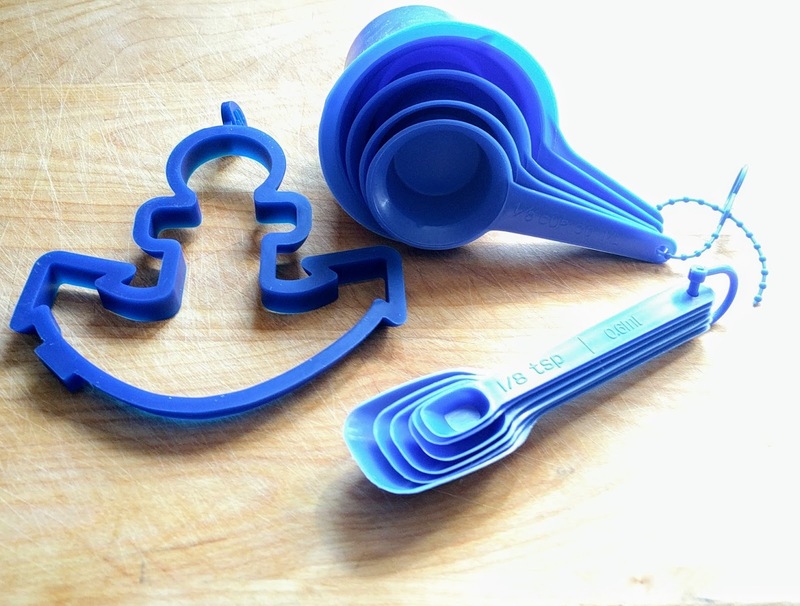 I like the idea of breakfast shapers -- even own a set of Star Wars pancake molds. But. An anchor? For spring? Why not the bee and hive or ladybug and flower sandwich shapers? They are similarly priced and look much more seasonal. Also a great big NOPE to the 11-piece measuring set. After having received OXO products in the three previous boxes, these molded plastic cups and spoons are a comedown. Also, I already own multiple (nicer) measuring sets, thus I have no need for these. (I've taken the measuring set and breakfast shaper to work where we'll find some use for them during crafternoons). Overall, this box left me with mixed feelings. It wasn't seasonal enough and some of the items did not appeal to me at all. However, other items were exactly what I would have wished for. I don't know ... this box is best summed up with a shrug. 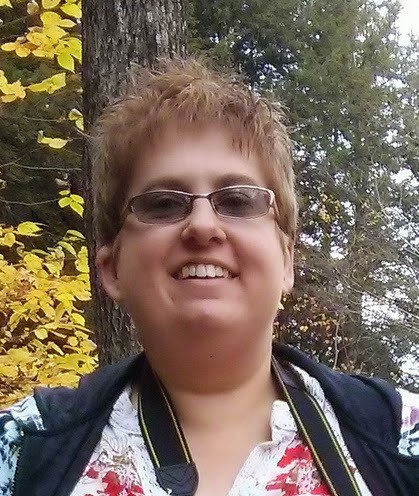 Read about my other (more pleasing) experiences with Taste the Seasons. 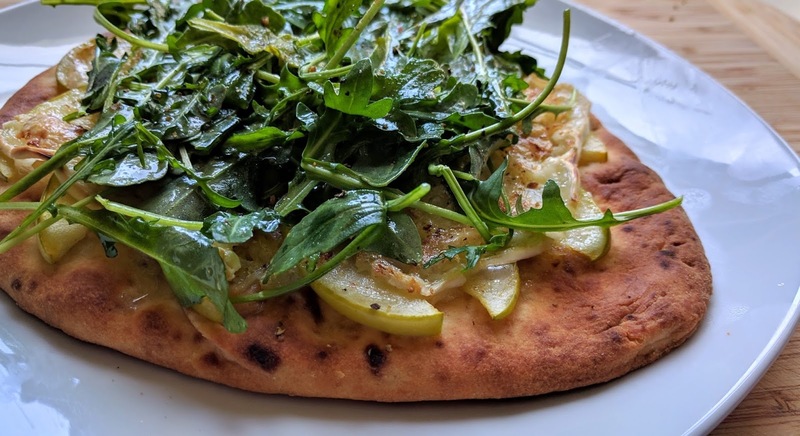 I had leftover brie and naan after making the "Berry & Balsamic Flabread" for July's Improv Cooking Challenge, so I thought I'd try another fruity flatbread, but this time I'd use apples. I happened to have an excess of green apples on hand -- bought them on a whim and have completely failed to eat them -- and I thought apples and brie would pair well together. Put your pizza stone in the oven and preheat the oven to 400° F.
Brush the naan with olive oil. Layer naan with brie and apples. Sprinkle w/ cinnamon. Bake 10 to 12 minutes or until the cheese has melted and the apple slices have softened. In a salad bowl, toss arugula with vinegar and honey. Scatter dressed arugula over the naan pizza and sprinkle with black pepper. Serve. 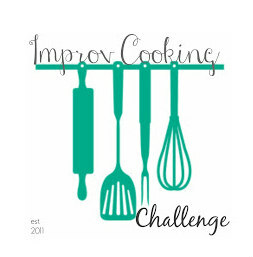 July's Improv Challenge Cooking ingredients are the bright sweet-tart flavors of berries and balsamic. I decided to keep my dish simple and combined those with fresh herbs and cheese to make decidedly nontraditional pizza. I know warm cheese and berries might sound a little nope (The Husband would not eat this if it were the last thing left to eat on Earth), but it is a tasty savory-sweet combination I cannot get enough of. A flatbread pizza requires cheese and I wanted to push the boat out, experience wise, and cook with something different. Generally, I'm a goat cheese or cheddar girl, with brief forays into the blues, so I thought I'd try Brie this time around. 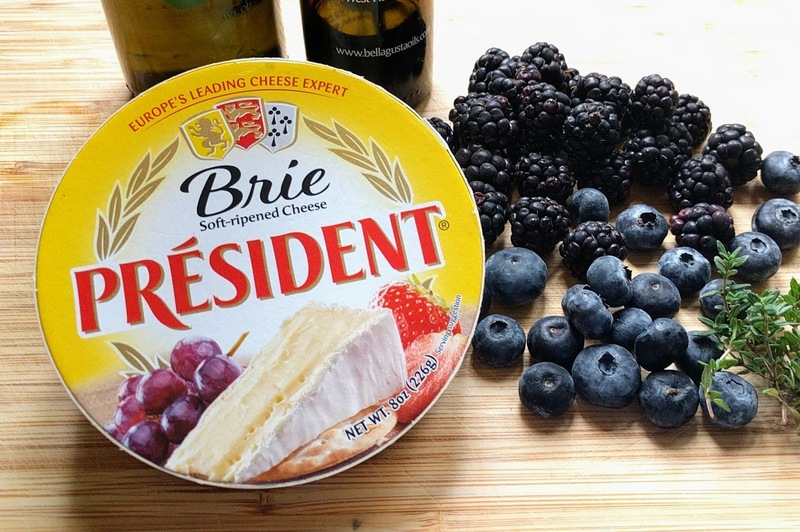 I'd eaten Brie before -- part of a cold mixed cheese platter with fruits and nuts -- and been underwhelmed by it, but I've read Brie is the "queen of cheeses" so maybe I should give it another try? Maybe, it would taste better warm? And it did. Warm Brie, imho, is good. Cold Brie -- at least the unknown Brie I'd eaten before and the one I used in this flatbread -- are just kind of mushroomy and blech. But warm Brie ... warm Brie is soft, creamy yumminess. Especially paired with balsamic vinegar and sweet berries. In short, this flatbread, with its great mix of flavors and textures, is absolutely delicious and so dead easy to put together that you could eat one every day. Brush the naan with olive oil and sprinkle with red pepper flakes. 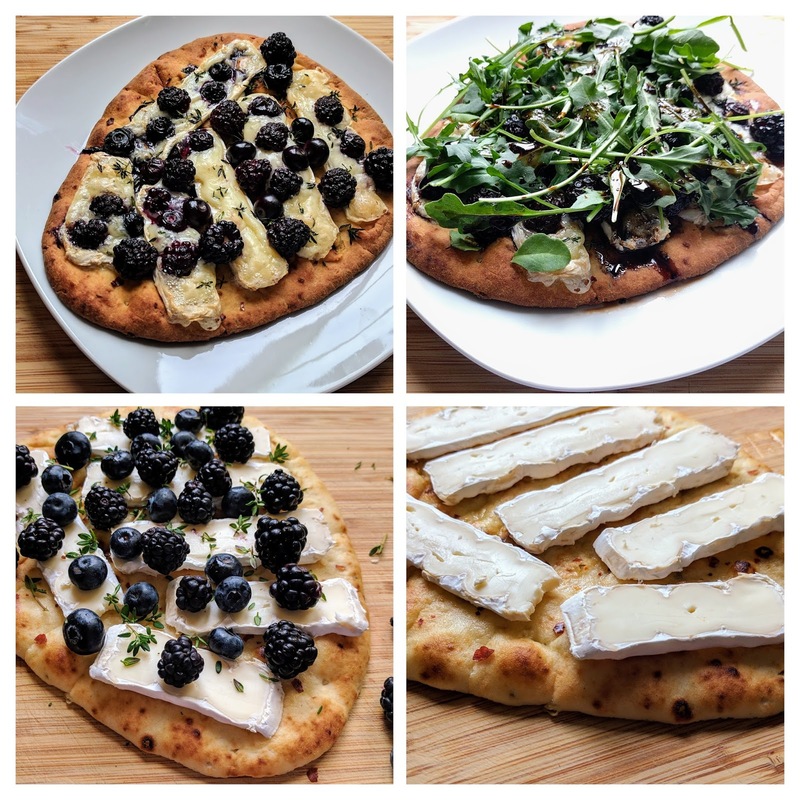 Layer naan with Brie and berries. Scatter with thyme. Bake 10 to 12 minutes or until the cheese has melted and the berries have softened. 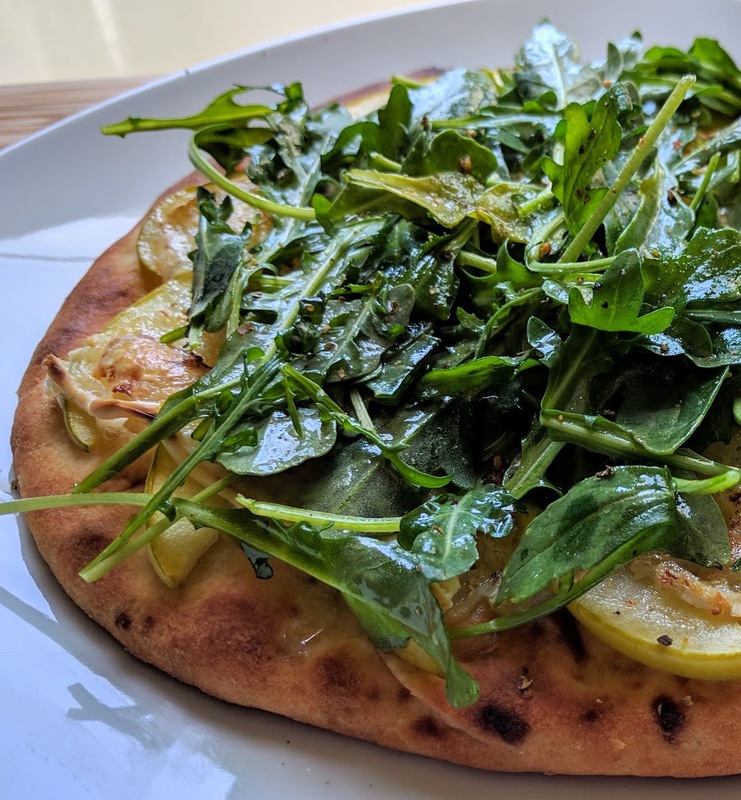 Scatter arugula over the naan pizza, drizzle balsamic vinegar over all, and sprinkle with black pepper. Serve. A Pirate's Life for ... Peas? 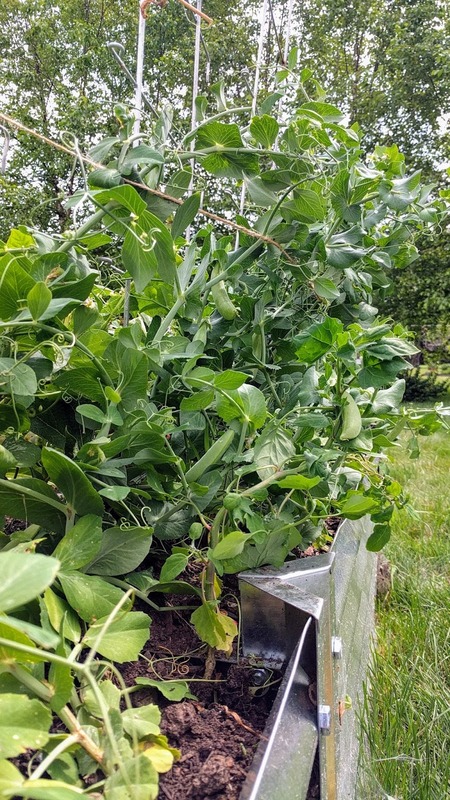 When I planted the vegetable beds in May, I planted a row of "Little SnapPea Crunch" sugar snap peas -- a compact plant with self-supporting vines well-suited to containers -- with the expectation they would grow into a stout hedge of deliciousness. Alas, my peas were rambling peas. The plants grew up, yes, but then went wide, entangling the orderly rows of beets, lettuce, and bush beans I had planted alongside them. I put up my pea fence -- the fence I expected to not need this year -- and tied them back. But. 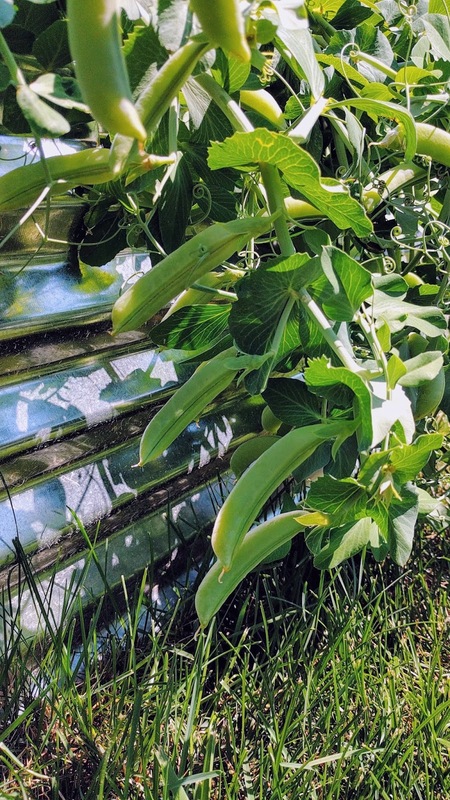 Wild and wily, they keep escaping the pea fence and are currently climbing down the side of their raised bed, dead set on conquering the neighboring tomato/pumpkin/pepper bed. I am both immensely amused by their feral liveliness and exhausted. Stay on your fence, peas. Stop trying to pirate the other beds. You might think, with all that prolific growth, that the plants would have no energy or time to fruit. You would be wrong. Completely and utterly wrong. 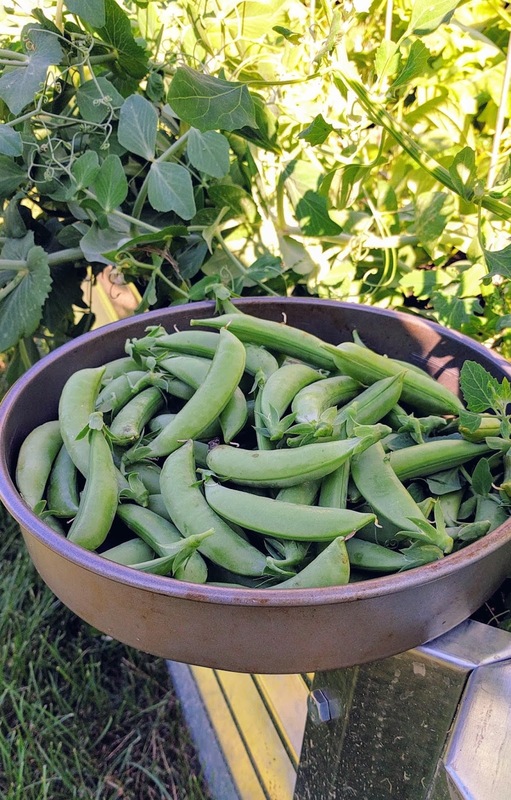 The snap pea harvest is in its heyday and I find I need to pick a cake pan's worth every day just to keep up. Harvesting the peas, of course, means the plants get busy making more and ... it's just a vicious, delicious cycle, isn't it? Sugar snap peas, you are so fine. So delightfully crunchy and sweet straight from the vine. Plump little green crescents of joy. Just keep your tendrils out of the lawn, less the lawnmower get you.